The annual Jean Banchet Awards ceremony for the Chicago-area culinary community is always a good opportunity to network with restaurant folks, with the additional perk of a champagne reception. 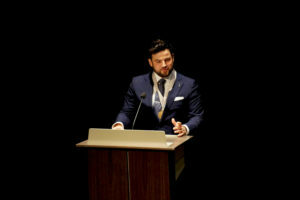 But it would be kind of freeloading for a Good Food advocate to attend unless the awards reflected the rising interest — among restaurateurs and diners — in food that is more local and more sustainably, humanely and fairly produced. Fortunately, that interest in a better way to eat is ingrained in the culinary culture here in Chicago. So the Jean Banchet Awards ceremony — which doubles as a fundraiser for the Cystic Fibrosis Foundation — is always a good day for Good Food. 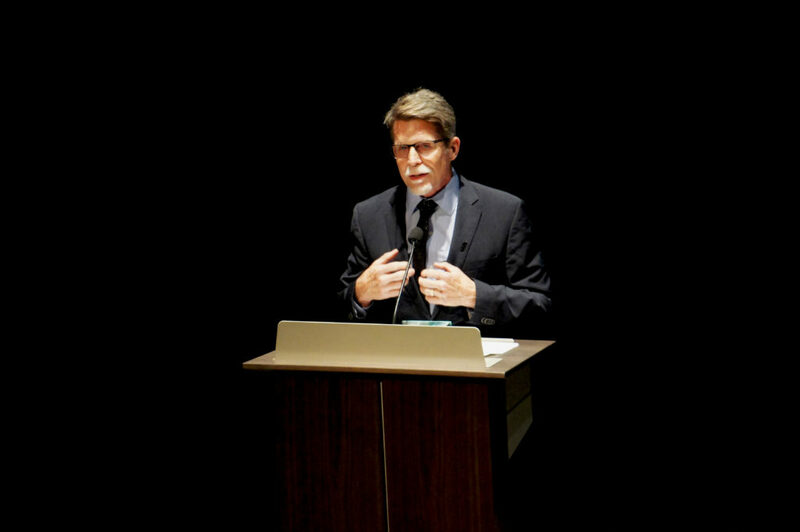 The highest honor of the event, held Jan. 15 in downtown Chicago, was the Culinary Achievement Award bestowed on Rick Bayless. Bayless has played a major role in building a market for local farmers in Chicagoland, while popularizing regional Mexican cuisine with a restaurant group that started 30 years ago with his still-esteemed Frontera Grill and his high national profile as a TV chef and cookbook author. 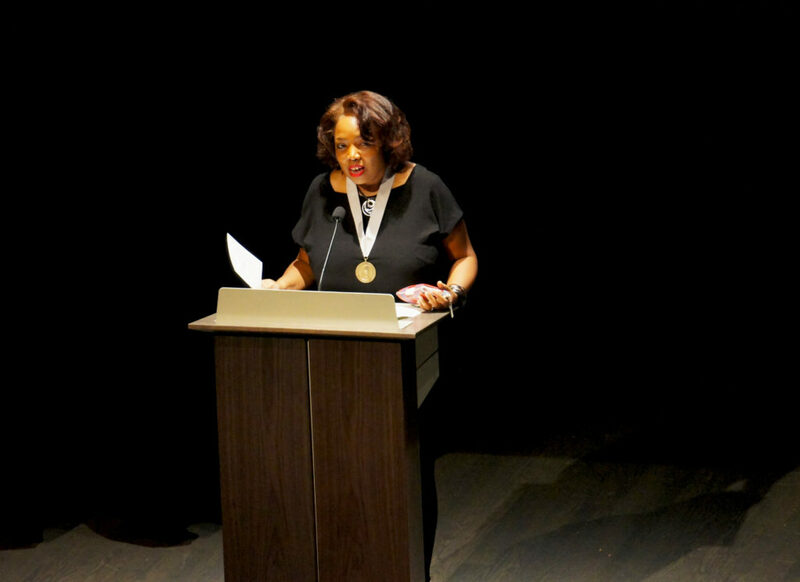 It was only the latest laurel for Bayless, a multiple winner of James Beard Foundation Awards and the recipient, in October 2016, of the 2nd Annual Julia Child Foundation Award for lifetime achievement at a ceremony held at the Smithsonian Institution’s Museum of American History in Washington, D.C. 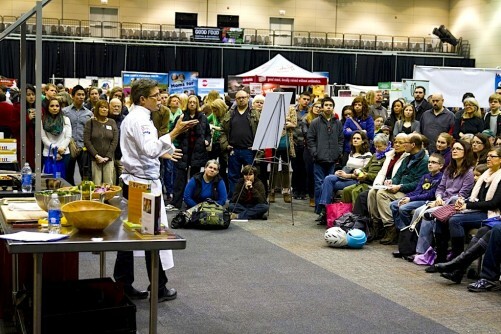 He is a longtime friend of FamilyFarmed and will conduct a chef demo at our Good Food Festival on March 18, as he often has over the event’s previous 13 years. 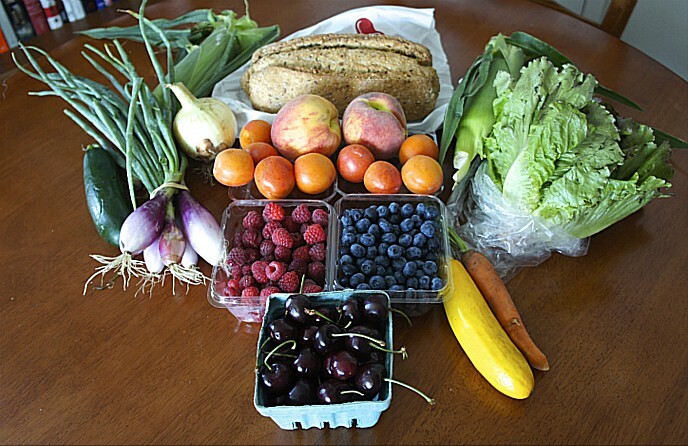 Bayless gave a big boost to Chicago’s Green City Market, the city’s premier farmers market, when it was launched in the 1990s. And in his thank-you remarks at the Jean Banchet event, Bayless said he still loves to visit the market personally when his schedule permits. “Some of my favorite things are just to go and hang out at Green City Market during the summertime on Wednesday mornings and just see other chefs coming in and talk to them and see what they’re buying and ask them what they’re doing with it,” Bayless said. 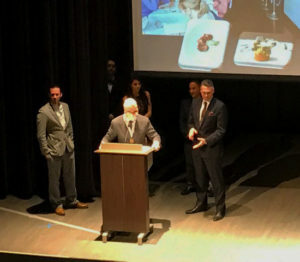 Green City Market also got a shoutout at the Jean Banchet Awards when Jared Batson of Nomad received the Best Alternative Dining Award. Batson developed a following with Nomad’s wood-burning mobile pizza oven, which made a weekly appearance at the outdoor Green City Market over the past three years. Batson declared an all for one and one for all spirit. “As chefs and members of the food and beverage industry, let’s not forget that it’s a privilege that we have to cook for the people of our city. It’s not a competition. Let’s continue to support each other and make those around us better each and every day,” Batson said. The Restaurant of the Year Award also went to a stalwart of Chicago’s Good Food community. Blackbird, which itself is celebrating its 20th year, was the first restaurant started by Chef Paul Kahan, lead partner Donnie Madia and others in what has become the extensive One Off Hospitality group. Blackbird was one of the first chef-driven restaurants to locate in Chicago’s West Loop, then not considered to be a destination neighborhood. Its success spawned Avec, its sister restaurant next door, and spread west down Randolph Street to create today’s Chicago Restaurant Row. Kahan’s dedication to local sourcing and transparency about the ingredients he uses earned him FamilyFarmed’s Good Food Chef of the Year Award, presented at the 2016 Good Food Festival. Diversity is a key priority for FamilyFarmed and most in the Good Food movement, and this too was celebrated at the Jean Banchet Awards. For instance, the Best Ethnic Restaurant Award went to 5 Loaves Eatery, an African American-owned restaurant that serves Southern cooking at breakfast and lunch in the economically challenged South Side Chicago neighborhood of Greater Grand Crossing. Food is playing an important role in efforts to revitalize communities such as neighboring Englewood, which is home to a Whole Foods Market store that opened last September; Growing Home, a nonprofit urban farm that provides training and job assistance to people who have served time in prison or have other obstacles to employment; Tea Squares, a startup producing healthy energy snacks that is a Fellow business in the current cohort of FamilyFarmed’s Good Food Business Accelerator; and a number of other food and farm businesses. For a complete list of the culinary winners, please visit the Jean Banchet Awards website. This entry was posted in Awards, Chef advocacy, Farm to table dining, Farmers markets, Food activism, Food Artisans, Food Entrepreneurs, Good Food Business Accelerator, Good Food Dining, Good Food restaurant trends, Jean Banchet Awards, Restaurants and Good Food, Whole Foods Market and tagged 5 Loaves Eatery, Chef Paul Kahan, Chicago restaurants, FamilyFarmed, Frontera restaurant group, Good Food Business Accelerator, Good Food Festival, Good Food movement, Growing Home, Jean Banchet Awards, Nomad pizza Chicago, One Off Hospitality Group, Rick Bayless, Tea Squares, Whole Foods Market Englewood. Bookmark the permalink.